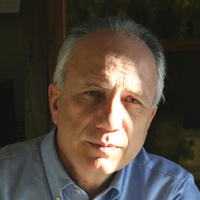 Leonardo Morlino is Professor of Political Science and Director of the International Research Center on Democracies and Democratizations at LUISS, Rome. He was President of the International Political Science Association (IPSA) (2009-12). He is the author of more than 30 books and more than 200 journal essays and book chapters published in English, French, German, Spanish, Hungarian, Chinese, Mongolian, and Japanese. His most recent books include: Changes for Democracy (Oxford UP, 2011), Democracias y Democratizaciones (CIS, 2008); Democratization and the European Union: Comparing Central and Eastern European Post-Communist Countries (Routledge 2010, with W. Sadurski), International Actors, Democratization and the Rule of Law: Anchoring Democracy? (Routledge 2008, with A. Magen). He was also one of the three editors of the International Encyclopedia of Political Science (8 voll., Sage Publications, 2011), that won the Honorable Mention of Darthmouth Medal for reference publishing in all domains of knowledge. Morlino was Professor of Political Science at the University of Florence and at the Istituto di Scienze Umane in Florence and has held a number of visiting professorships. In 2002-03 he was the Bechtel Visiting Professor at Stanford’s Graduate School of Business; in 1995 visiting fellow at the Hoover Institution; and in 1989-90 NATO Fellow of the Center for European Studies, Stanford University. His academic credentials also include stints as the Monte dei Paschi Fellow at St. Anthony's College, Oxford (2010), the Jemolo Fellow at Nuffield College, Oxford (2007 and 1998); visiting professor at the Juan March Institute, Madrid (1995-96); and visiting professor at the Institut d’Etudes Politiques, Paris (1993-95, 2006, 2009, 2013). Morlino is a leading specialist in comparative politics with expertise on Southern and Eastern Europe, with a focus on phenomenon of democratization. Now he is directing a new research on the impact of the 2008-14 economic crisis of the six European large democracies.